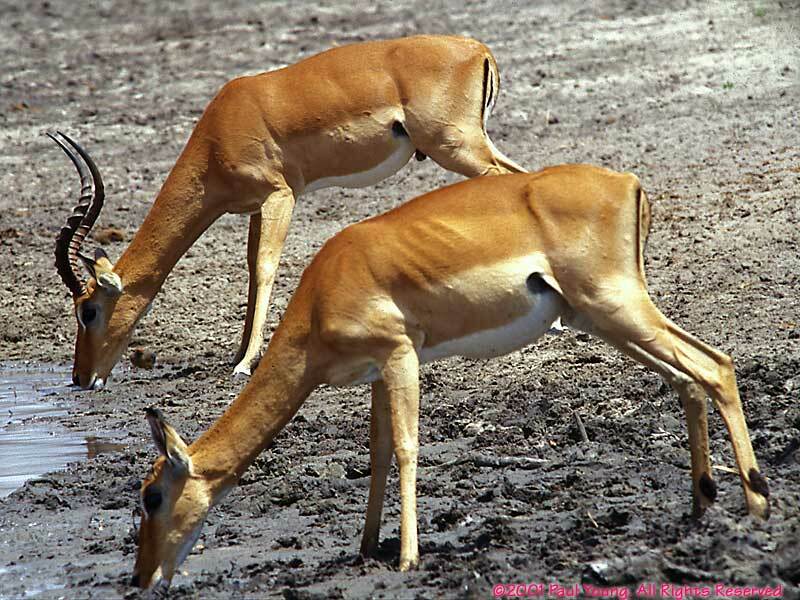 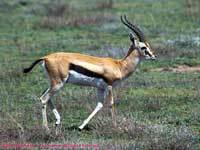 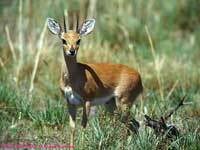 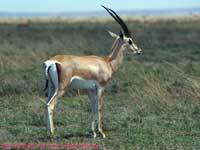 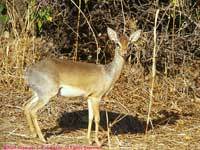 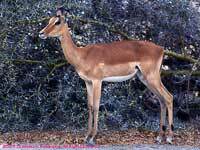 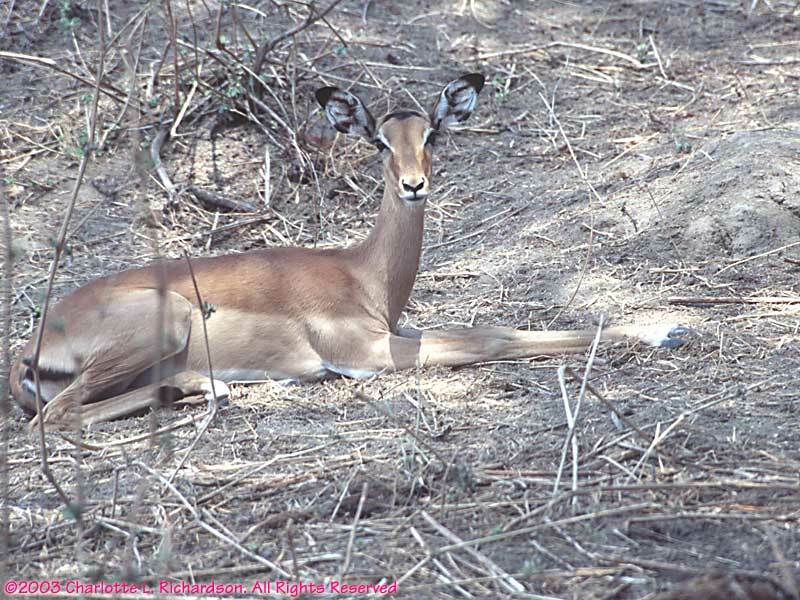 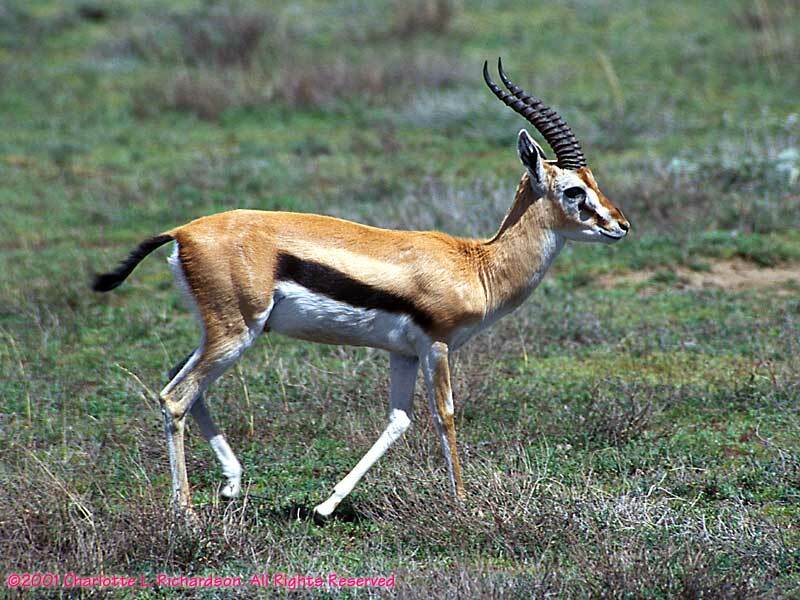 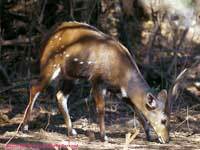 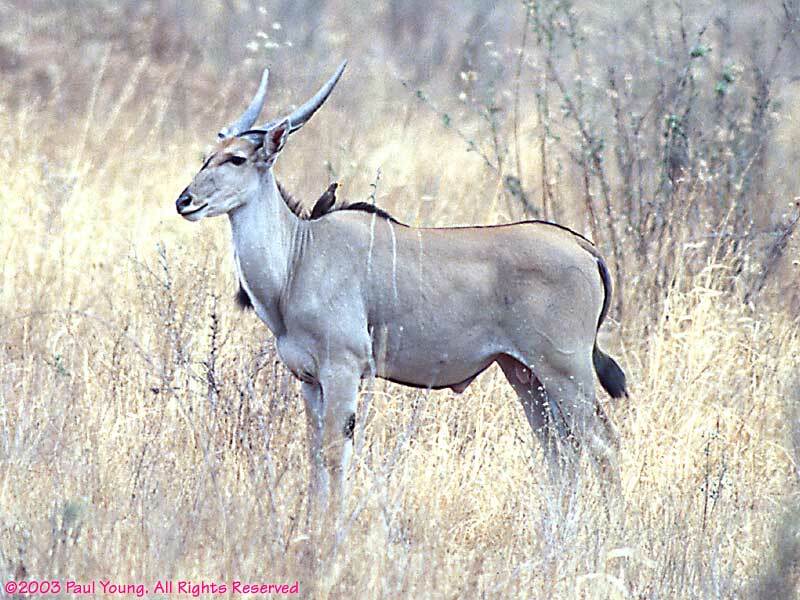 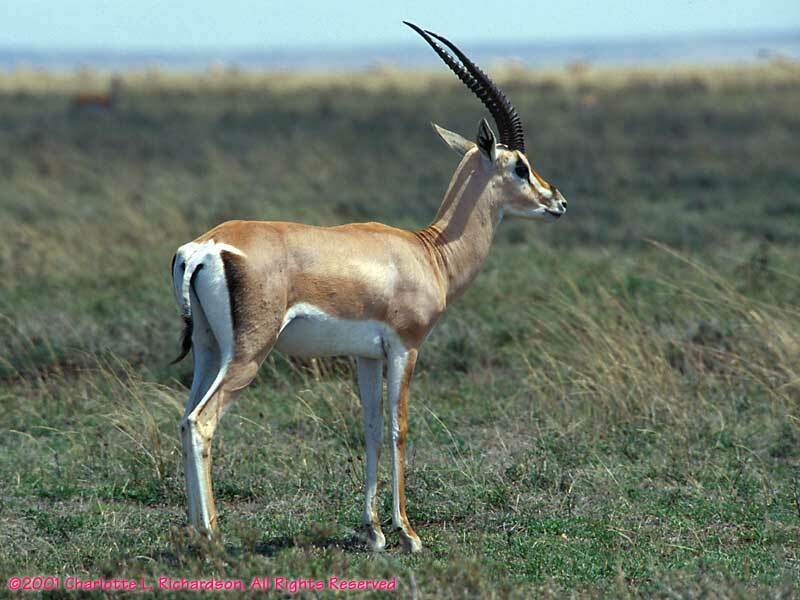 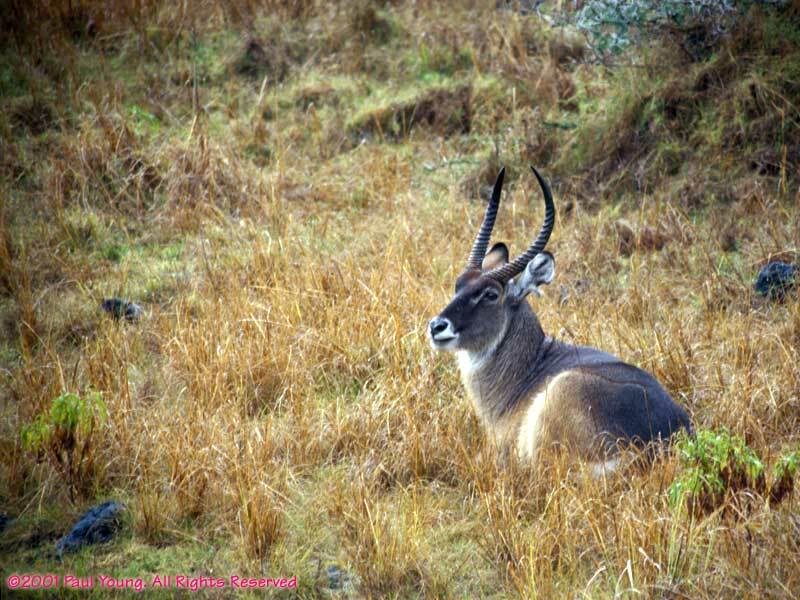 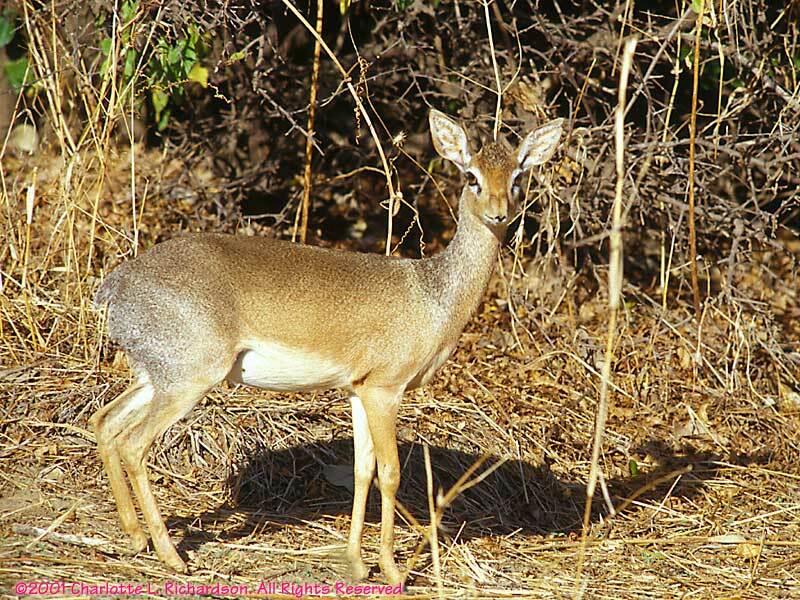 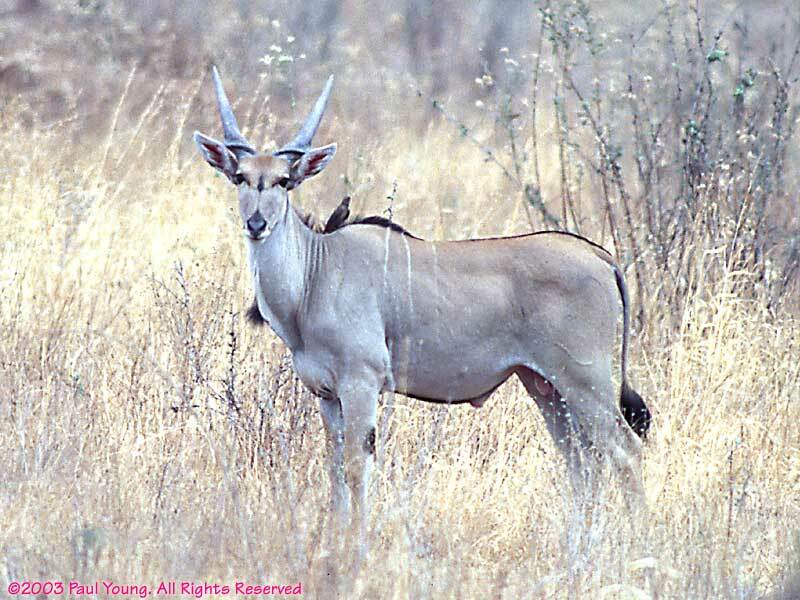 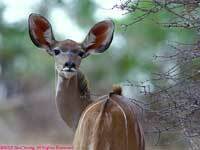 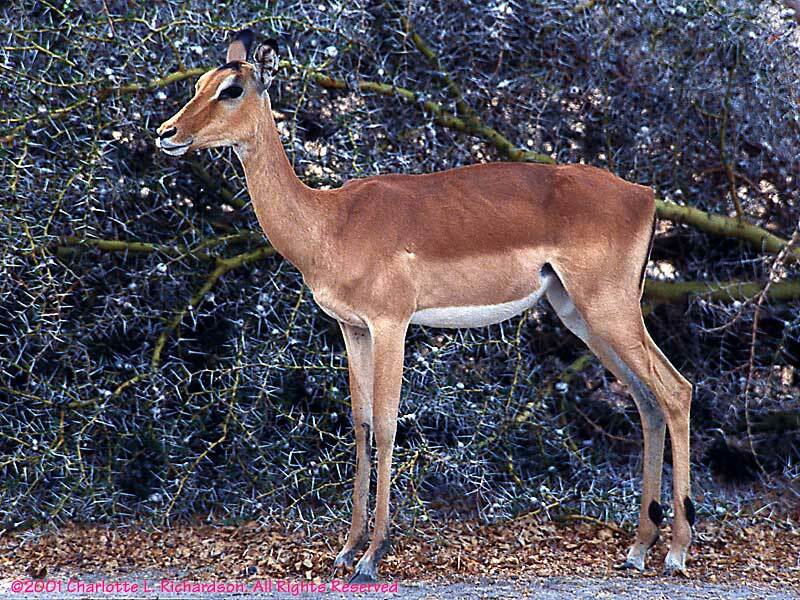 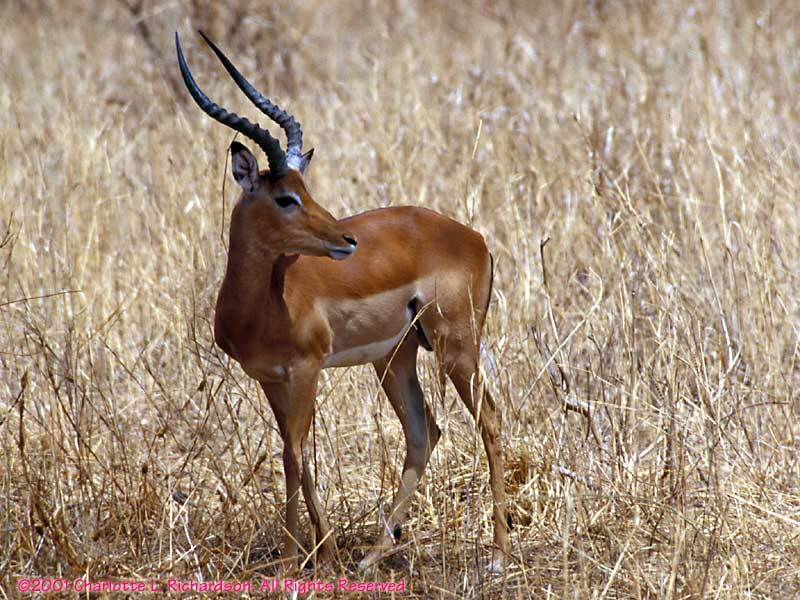 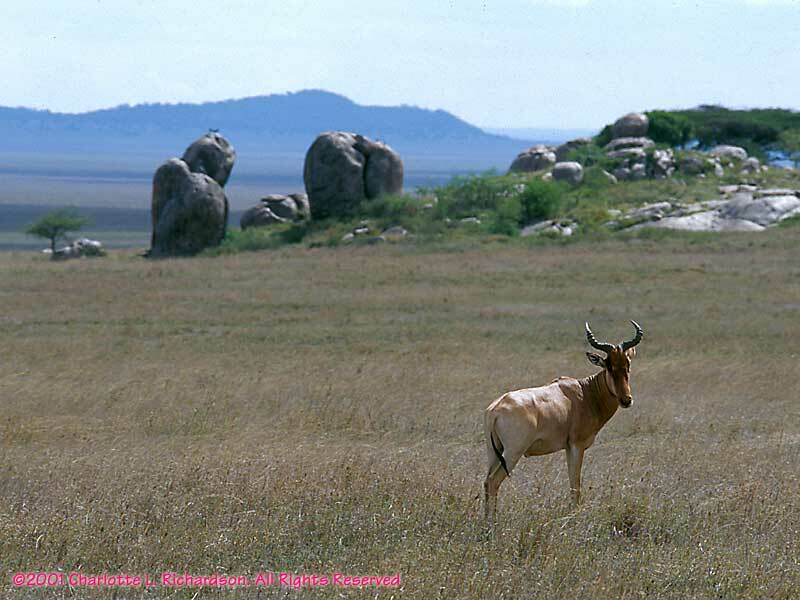 Tanzania has many species of antelope. 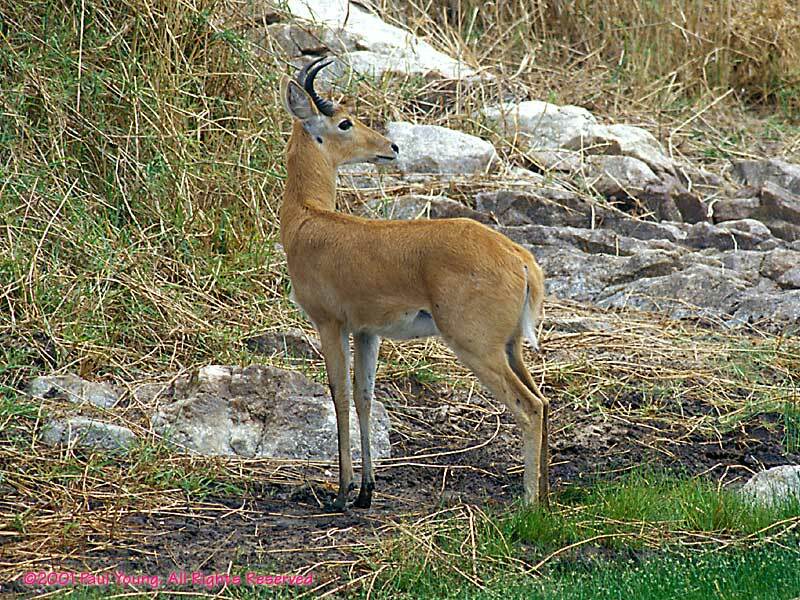 We saw at least a thousand impalas. They were usually in groups, either a group of females and young with one male or a group of unattached males. We arrived at the Serengeti National Park gate early and had to wait before we could enter. 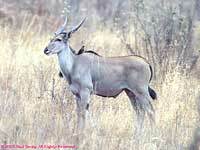 Fortunately there was a large herd of "Tommys" in the Ndutu conservation area just outside the gate. 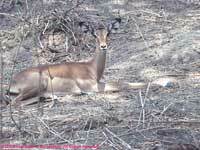 Common in Ndutu along with the Thompson's gazelles. 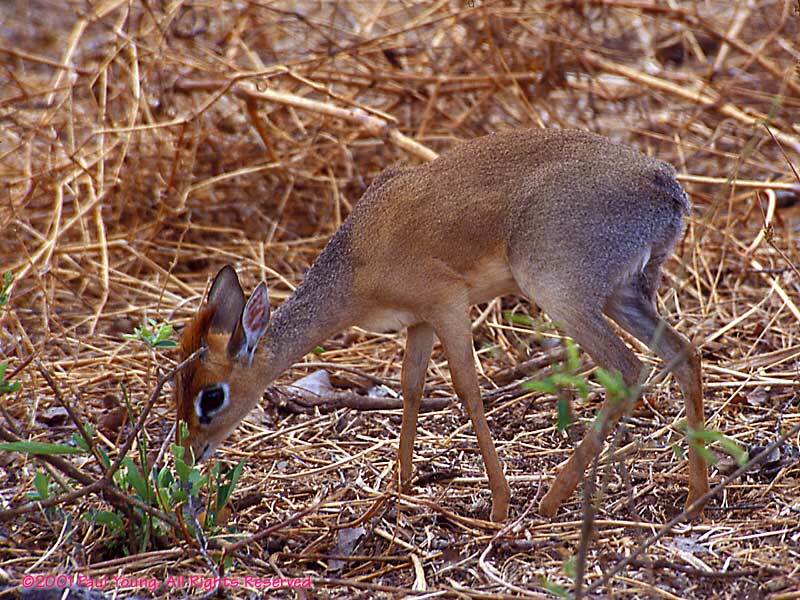 These are the smallest of the antelope. 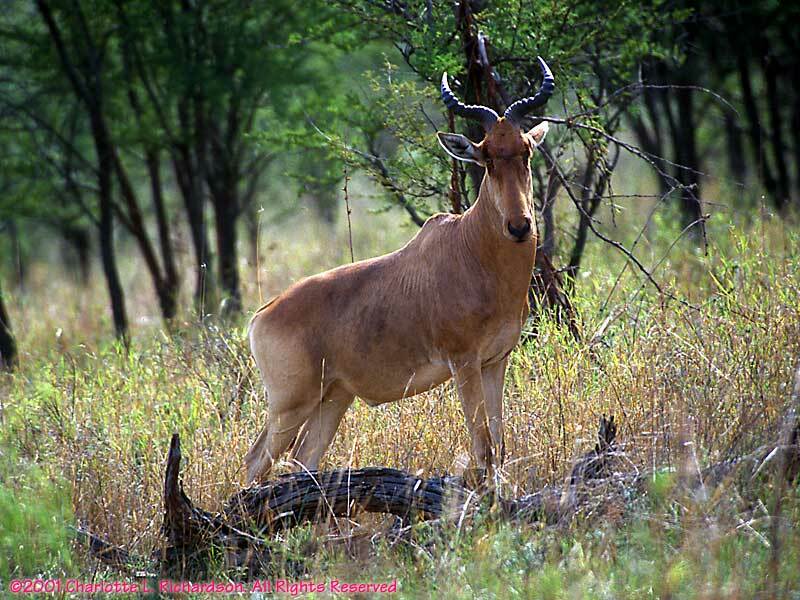 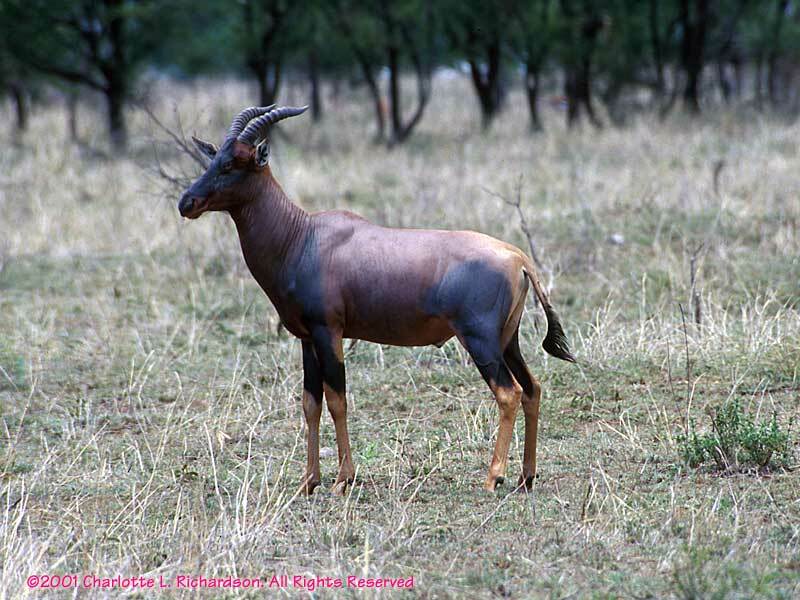 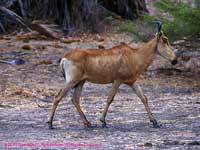 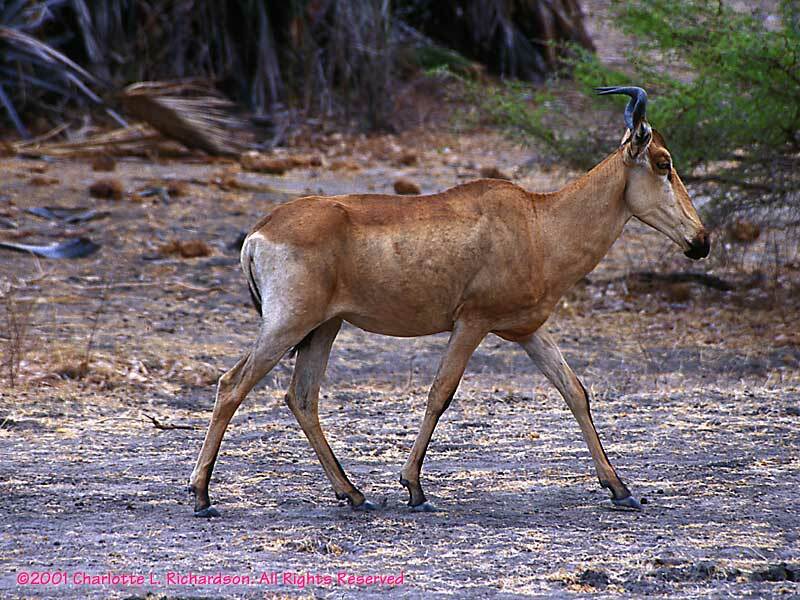 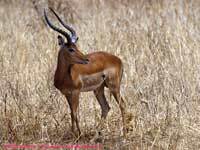 This is the species of hartebeest found in the Serengeti. 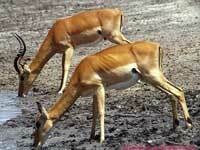 These are found in Selous. The most colorful ungulate we saw, the topi in the Serengeti have yellow lower legs and purple blotches. 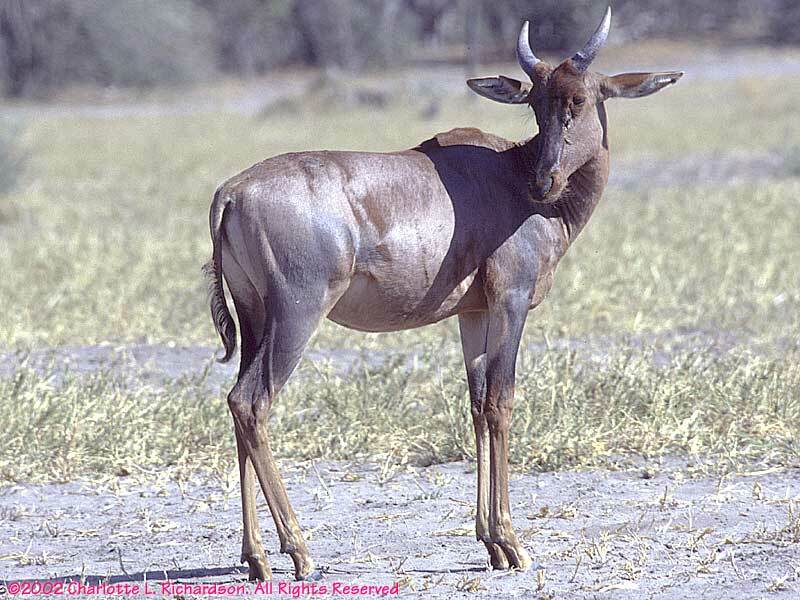 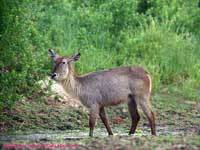 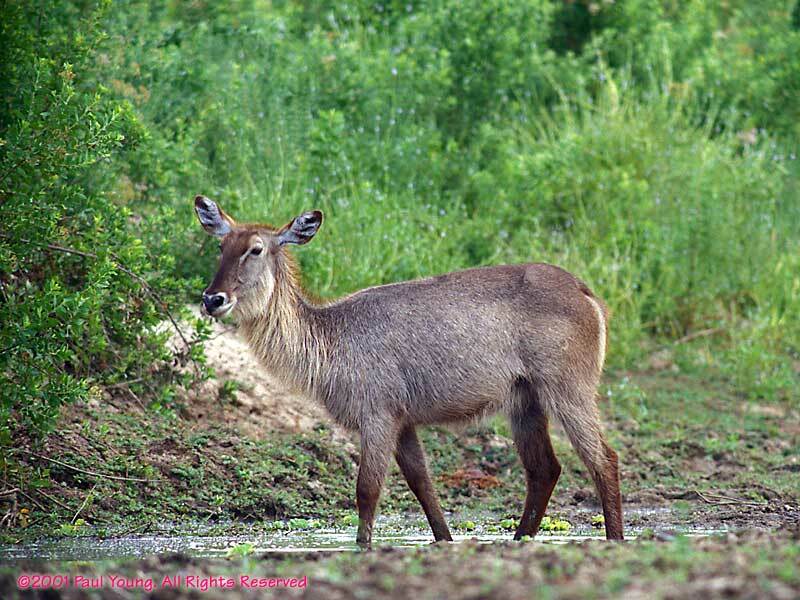 The tsessebe, photographed in Botswana, looks similar except for its horns. 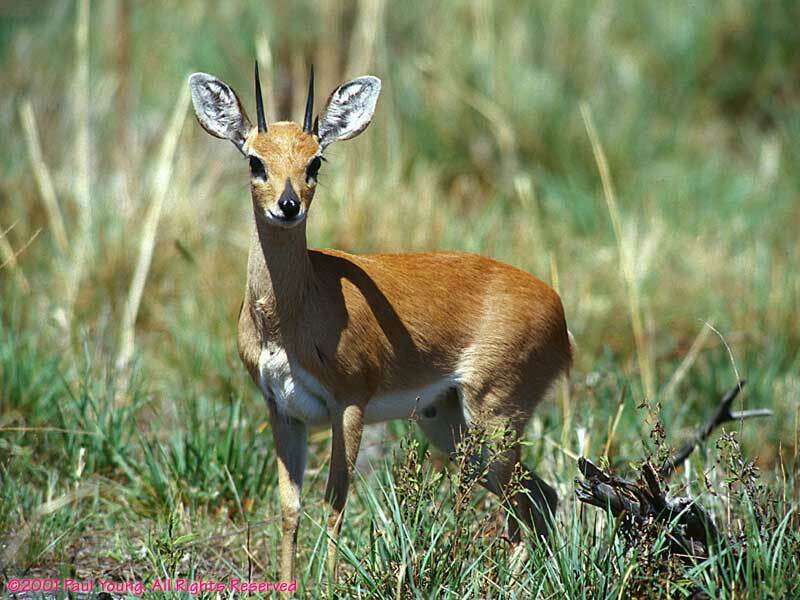 These are the biggest antelope, but they are skittish. 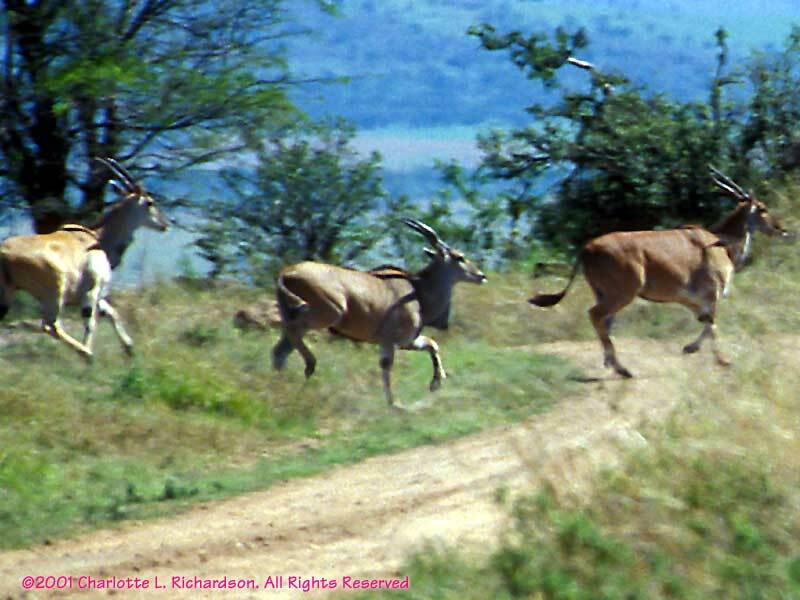 On our first trip, we never got close to them. 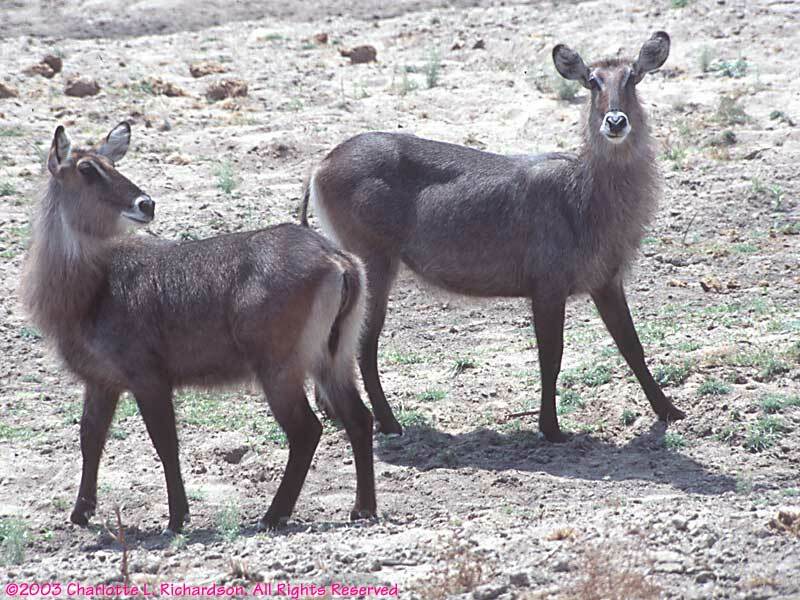 On our second trip, we saw them in Ruaha, and managed a couple of shots before they fled. 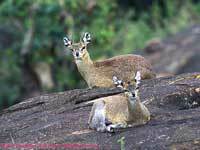 The klipspringers were on a rock outcropping (kopjes) in the Serengeti. We watched them as they watched us. 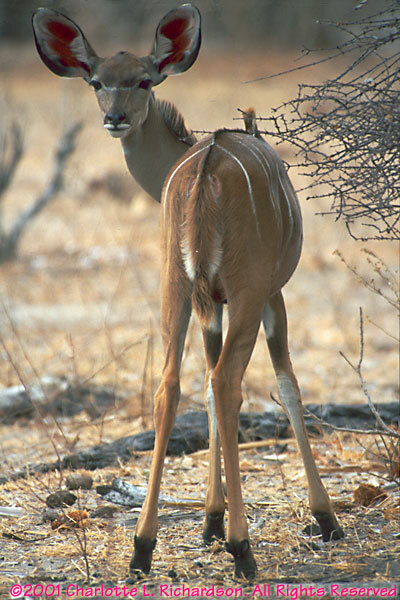 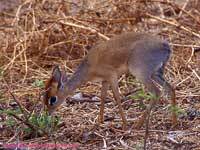 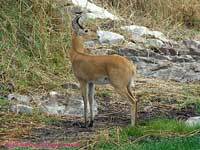 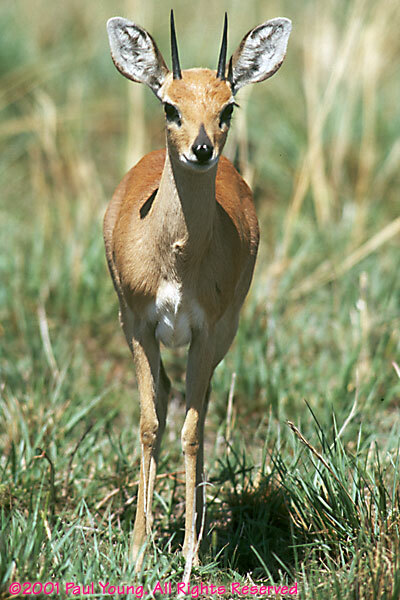 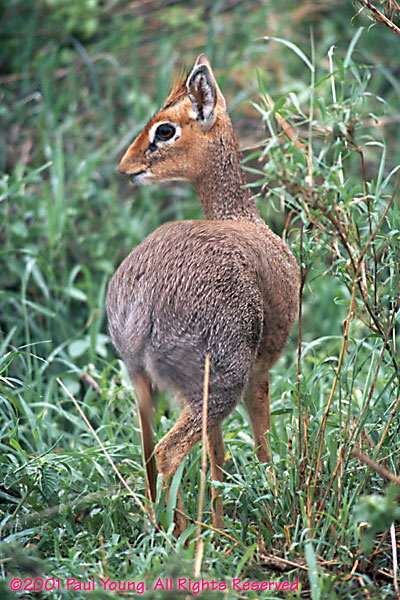 We only saw this one steenbok in the Serengeti. 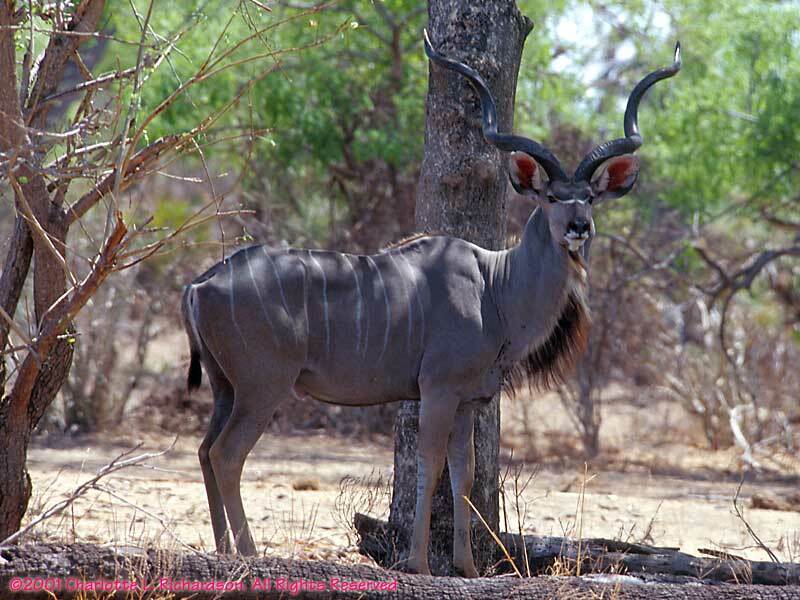 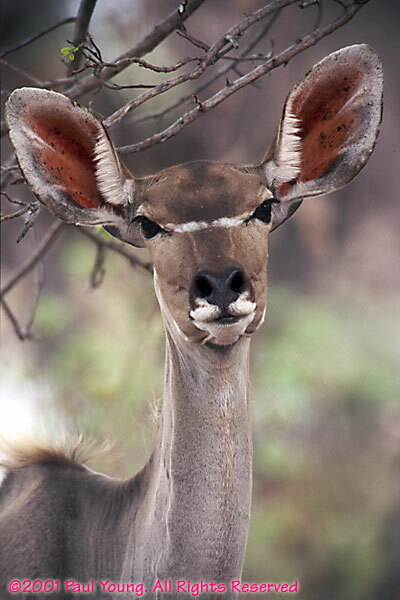 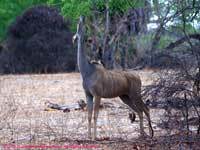 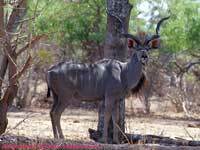 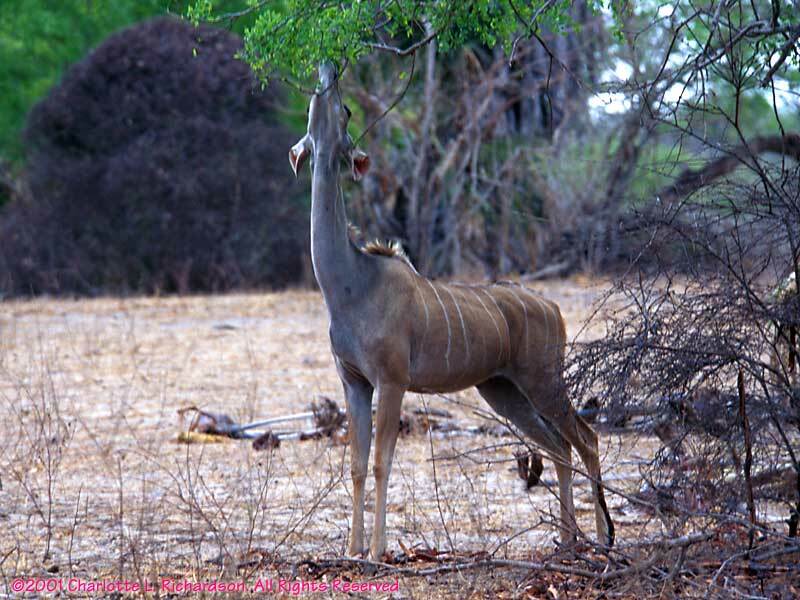 There are no kudu in the Serengeti, but we saw several in Selous. 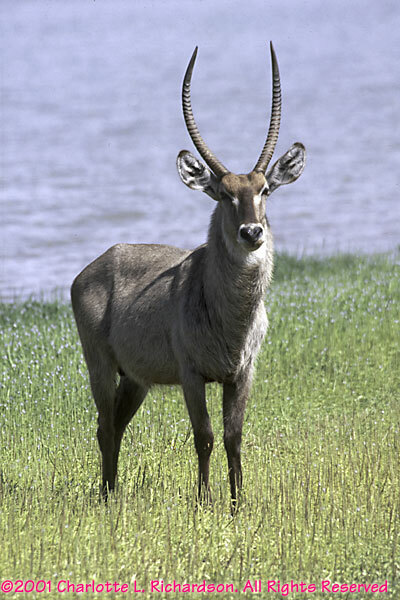 We will remember their big horns and big ears.